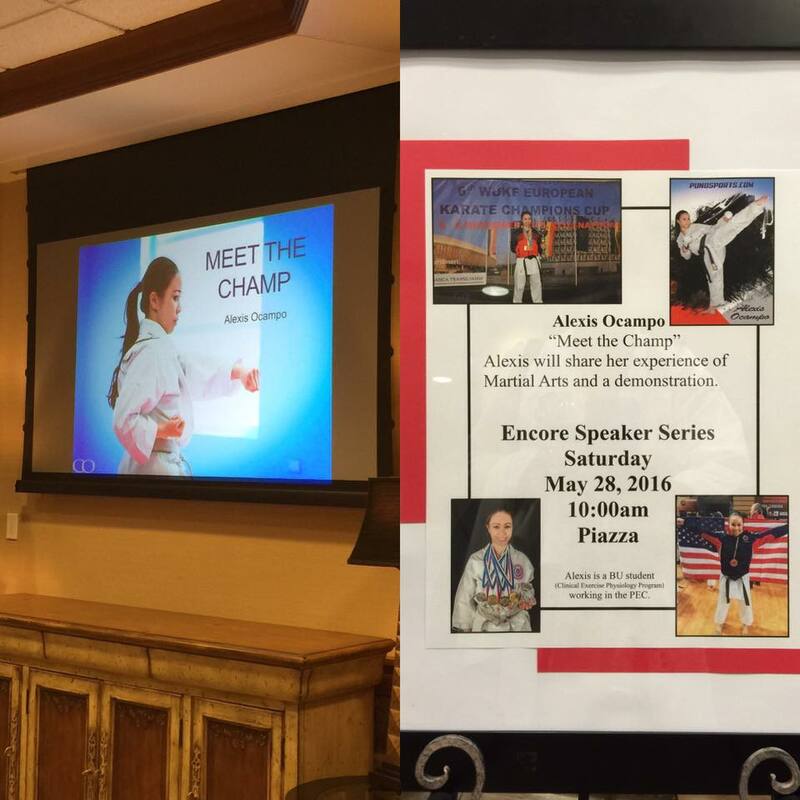 Sensei Alexis had the opportunity to present a PowerPoint presentation of her past karate experiences including pictures of her training and national/international competitions at the Villa St. Benedict! Accompanied with Sensei Omar, they both did a quick demonstration of the art of kata and kumite for the residents. Thank you to the residents and the Activities Team of Villa St. Benedict for this awesome opportunity!